variety of themes for the kids to explore. All in all it was well worth the hour drive to get to it. 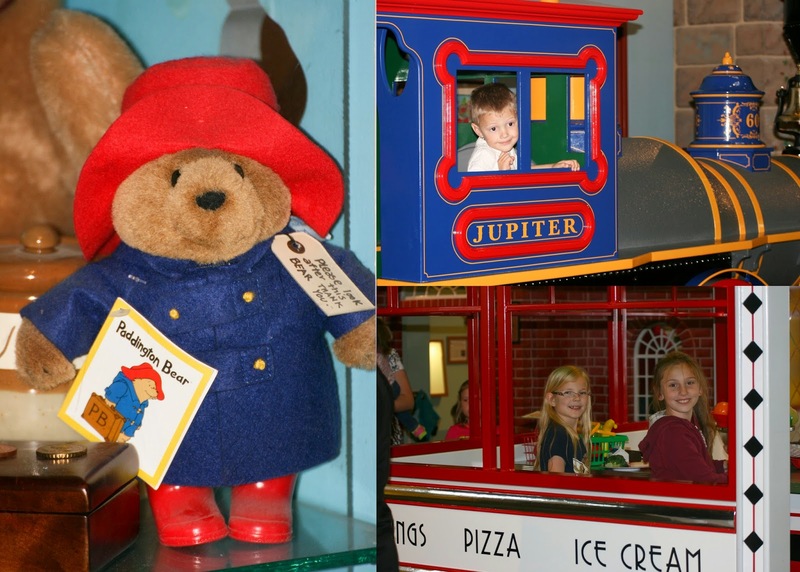 Each area of the museum is associated with children books on that topic. The bottom floor has sections on different nations (Japan, Mongolia, Mexico, Germany, England, Utes, etc.). Stella loved the Mongolian hut on display, their clothes and their way of living. The girls had a Japanese tea party with Sushi instead of cookies. 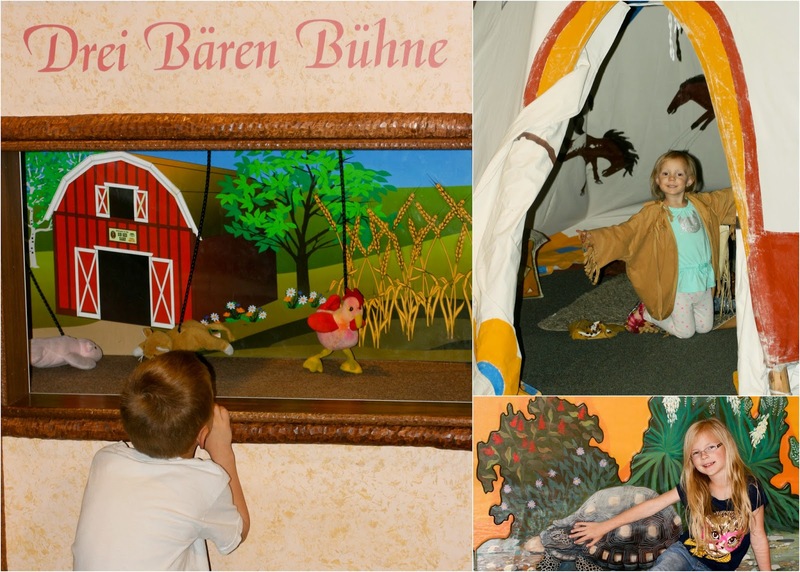 The German exhibit had a puppet theater for the children to act out and to watch. The kids controlling the marionettes had a monitor in front of them displaying what the viewers sitting in front of the stage were seeing. I felt every area of the exhibit was that well though out. One of our favorite movies of late is Paddington. The kids loved the cute little bear who arrives to London to find a new family after his own in Peru is destroyed in a natural disaster.We were all so excited when we found a mini Paddington on display in the English exhibit. The upstairs has a large temporary exhibit of Curious George and the city in which he lives. The diner was one of the favorites among all. 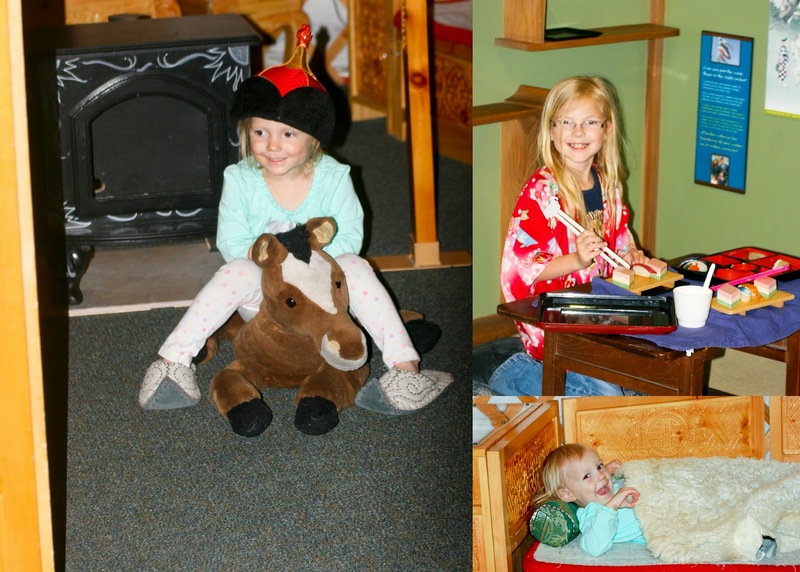 The kids can order a meal from a really cute menu and be served either at a table or at the bar. Another favorite area was the Medieval section. The girls had fun playing chess with large scale chess pieces. 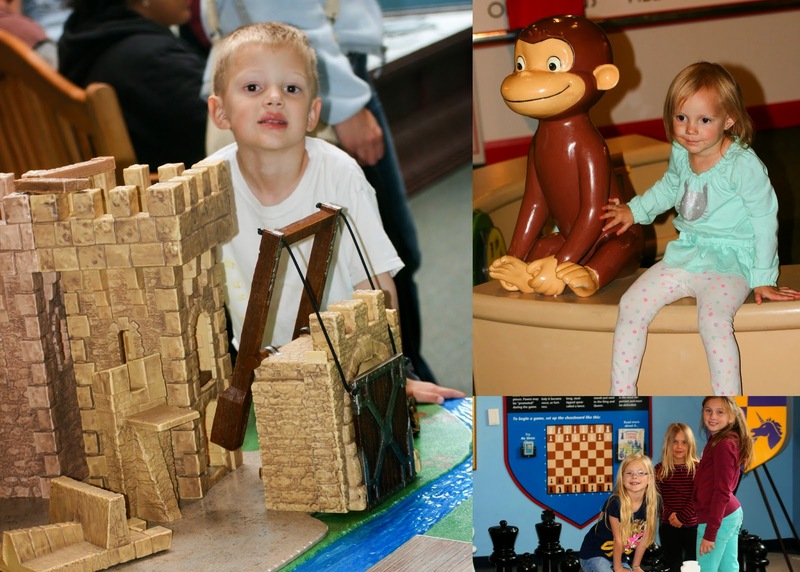 Carson loved building a castle and playing with knights and dragons. He spent a good half hour there alone. We saw so many other things while there... 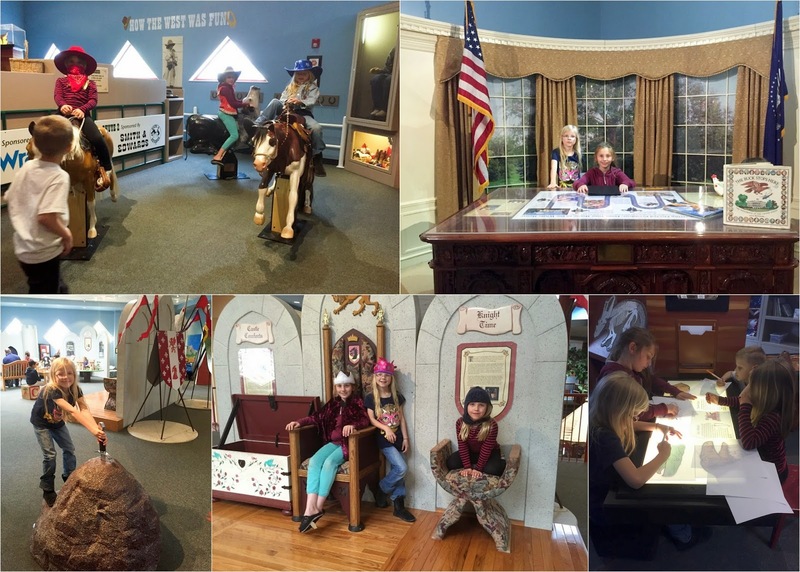 The kids dressed like cowboys and rode a bull, they milk a cow, they rode on a train, threw a parachute soldier down from the second floor trying to hit a target on the ground, they play drums from all over the world, sat in the oval office, drew dinosaurs, the list can go on for a long time. I wished we lived closer to it and could enjoy visiting the museum more often because it was a blast!